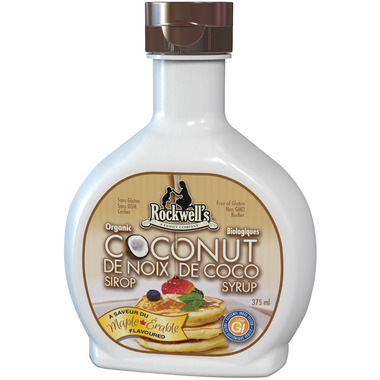 Rockwell's Whole Foods Organic Coconut Syrup has a light, natural flavour that doubles as a sweetener! With all the benefits of natural coconut syrup and a mild maple flavour, we have a feeling you're about to fall in love with syrup all over again. With the naturally low glycemic index of coconut, this coconut syrup is a great alternative for those who are trying to control their blood sugar. 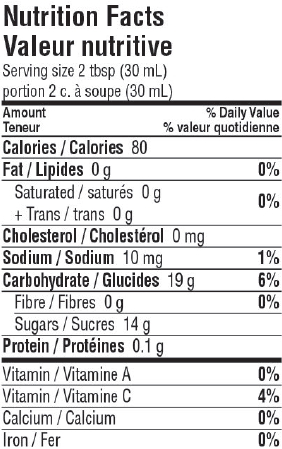 Ingredients: Organic coconut palm syrup and all natural maple flavour.